I’m excited to share today’s guest post by editor A. Victoria Mixon with everyone. 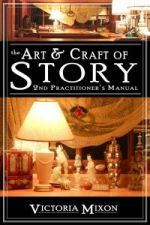 Her new book The Art & Craft of Story: 2nd Practitioner’s Manual recently came out and is a great addition to our writing craft library. In fact, her blog tour posts have been excerpts from this book, so we can get a sneak peak at some of the insights she shares in her latest release. She was gracious enough to let me choose any excerpt I wanted for today’s post. When I read this section for the first time, I got goosebumps along with the “Ah-ha!” moment. I hope it helps all of you as well. What’s the Climax of a novel? We must understand, for now, only this one, fundamental thing: the Climax is the real reason we write our stories. Once upon a time, a man succumbed to idiocy over the death of the woman he loved—that’s the premise. Cause? His rival for her love stole her from him and then killed her in anguish over the betrayal he’d committed against a saintly man—that’s the story. Cause of that? His rival was an old and close friend of his—that’s the backstory. 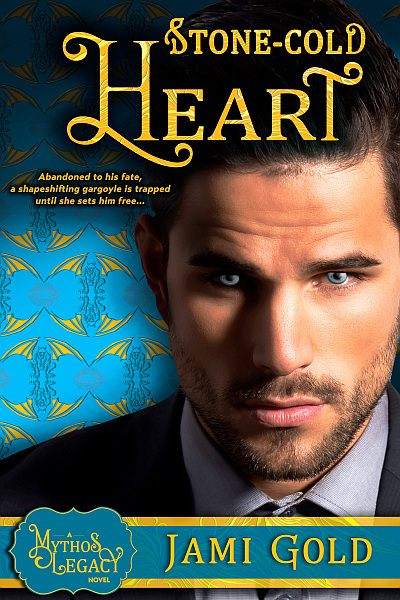 Once upon a time, a woman nearly lost the man she loved through her own machinations—that’s the premise. Cause? She was an inveterate social meddler—that’s the story. Cause of that? Although good-hearted, she had always been spoiled—that’s the backstory. Once upon a time, a woman became so distraught over her adulterous affair that she committed suicide—that’s the premise. Cause? Society ostracized her for her affair, while at the same time her lover made her intensely jealous—that’s the story. Cause of that? She was a married female aristocrat of nineteenth-century Russia with an intensely passionate nature—that’s the backstory. Once upon a time, a man encountered a ghoul and disappeared—that’s the premise. Cause? He was out at night after spending the evening competing with another man for the love of a young woman—that’s the story. Cause of that? He was an unattractive schoolteacher in a highly superstitious time and place, with a ruthless and contemptuous rival—that’s the backstory. Do you see how the Climax is, bizarrely enough, the premise? We must dwell on this in the depths of our soul until it makes total and complete sense. Mull it over. Meditate upon it. Make it a part of our writing identity. We cannot take this fact too seriously. The Climax is the whole point. Otherwise, we have no reason for writing any of this. 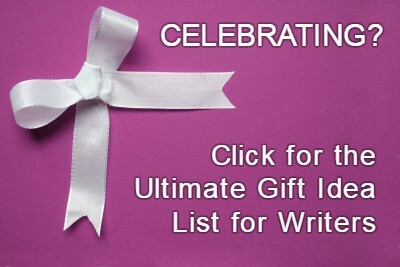 Victoria Mixon has been a writer and editor for thirty years and is the creator A. Victoria Mixon, Editor, voted one of WritetoDone’s Top 10 Blogs for Writers. 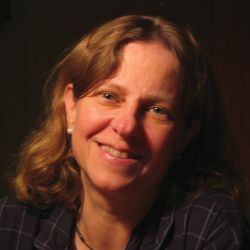 She is the author of The Art & Craft of Fiction: A Practitioner’s Manual and the recently-released The Art & Craft of Story: 2nd Practitioner’s Manual, as well as co-author of Children and the Internet: A Zen Guide for Parents and Educators, published by Prentice Hall, for which she is listed in the Who’s Who of America. 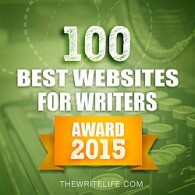 She spends a lot of time helping writers on Google+ and Twitter. Our story’s climax is the premise. I don’t know about the rest of you, but I’d never heard the tip that they will (must) match laid out so clearly before. It’s seems too simple, too straightforward, doesn’t it? So I tested this with some of my stories, going in the opposite direction as Victoria with her examples above. Sure enough, when I described the climax in one short sentence, I’d nailed the premise too. What can we do with this knowledge? Plenty. As Victoria said, the climax is the whole point of the story. If we’re missing the point, the story will miss its mark. If our climax doesn’t match our premise, we need to figure out why. Is our climax not bringing the right conflict to a head? Is our climax missing a critical piece because all the players aren’t in place? Has a subplot taken us off-course? Or if we’re pantsing our way through a story and we’re not sure what the climax should look like, we can try to describe the premise in one sentence. That’s what the climax should center around. From the other direction, we now have an easy way to boil down the premise of any story. Think of the climax and work from there. So far, I haven’t encountered problems with the two aspects not matching, but by understanding this link, I can bring out my premise (which is often related to theme) to the fullest extent in my climax. No matter what, I know I’ll never look at climax and premise the same way again. Talk about an ah-HA moment. The minute I’m done commenting here I’m off to buy that book (but not before I share this post with all my Tweeps) I know they’ll be grateful for this fascinating lesson. Thank you Jami for always sharing relevant and intriguing posts, and thank you Victoria Mixon for your generosity in allowing Jami to cut a snippet from your book. Yay! I’m glad I wasn’t the only one with that reaction. 🙂 Thanks for the comment! You’re very welcome, Tamara! I’m happy to be a part of your writing journey. And I’m grateful to Jami for bringing me to her blog to meet all of you–such fun to see your new faces! Great point! Yes, this understanding can help us boil down our plot. After all, if we know the point of the story, we know what’s important. 🙂 Hope this helps! Thanks for the comment! Yes, Angela, this helps a lot with querying, when you must be able to condense your story into to its kernel. You have a little more room in a query to walk the agent through the story–think of a movie trailer in which they shift from startling to soothing to dynamite. You’ll notice how often that ‘dynamite’ ends on the protagonist facing an impossible obstacle. That gives you his two conflicting needs that will keep bouncing him from pillar to post throughout your story: he needs his established life, but he also needs—for some mysterious reason—this strange woman. And you’re right about spoilers in a query. Agents don’t mind knowing the end (they’ll insist on it in the synopsis), but more and more they want to see that you know how to create tension. So you lead them to that question, “What will my protagonist do?” And if you’ve written your query right, they request your partial because they simply have to find out. Yes, Roni Loren and I had a Twitter conversation just last week about how queries should focus on the first third of the story. That keeps most of the complicating subplots out of the way and introduces the main conflict and obstacles for the protagonist, but this method can help focusing on the “what” of that main conflict. Thanks for the comment! Wow! Just … wow! It’s funny how the things that seem the simplest are the most difficult to do. Or is it just that we writers over complicate EVERYTHING? I know! Isn’t it cool? And yes, I know with my over-analytical mind, I often make things more complicated than they should be. 🙂 Thanks for the comment! 🙂 Yes, Julie, we do. Otherwise we wouldn’t write novels, we’d write aphorisms. This article also made me look at the novel I finished yesterday. I keep thinking of the (very long) battle as the climax–but reading this made me realize that the actual climax begins during the battle and comes in the very last scene. Once upon a time, two archaeologists found a prophesied Viking treasure (and fell in love). Cause? Girl archaeologist believed guy archaeologist’s unshakeable faith in his theory (and used their wits to find and follow clues)—that’s the story. Cause of that? Girl archaeologist needed something to believe in after losing all her dreams. Whoa. Just took the characters to the next level. Woot! Off to do this with all my other rough drafts! Hi, Jordan! 🙂 Congratulations on selling your novel! Fabulous story break-down. You’ve got your Climax in that very last scene, where it can blow up the very best. And great point about how a story’s climax–the story’s point–might be more narrow than the whole scene around it. I tend to think of the climax as the whole big showdown scene, but you’re right, the essence of the story more often comes down to a single, tipping-point moment somewhere in that scene. Thanks for the comment! In a time yet to come, a bounty hunter of rogue androids learns that life is precious from a dying synthetic soldier. Cause? The androids came to his city search for a way to prolongue their very short life. Yay! I’m so glad people are finding this fun to explore. 🙂 And thanks for adding to everyone’s understanding of this with another well known example. Thanks for the comment! I’m off to look at my WWBC and NaNo loglines from this perspective, Jami. I’m also buying your new book, Victoria. I once worked with a great engineer. Of course engineers are notorious for making things too complex, but not him. He is the smartest person I’ve ever worked around. You know, the scary smart kind of person. His genius was taking things that were extremely complex and breaking it down to the point that it became simple. That’s what I see here with breaking the novel down to premise, story, backstory in one paragraph. Great things are never easy, but they’re usually simple. Great point! Yes, I’ve often heard that we want our stories and plots to be complex but not complicated–that complicated is cluttered with too many random subplots and whatnot. So this could also be used as a tool to see which side of the line our stories fall by seeing how well it can be made simple. 🙂 Thanks for the comment! How very kind of you, Kerry! And I saw your tweet—thank you so much. You know, engineering is a great place for a writer to learn how to distill difficult concepts into simplicity. I was a tech writer in the computer industry for years. So many of those engineers live in unbelievably complex worlds of spaghetti code, and the best tech writer is the one who can make that stuff look just intuitive. I’m very pleased if you’ve gotten that experience from me about fiction! Epiphany! I’ll be looking over my projects using this concept. It makes a great deal of sense. I’ll also be looking into getting a copy of Victoria’s book to see what other great tidbits are in there. Thanks for hosting her, Jami. Super fantastic! Yay! I love sharing “ah-ha!” moments. 🙂 Thanks for the comment! Thank you, Gene! I saw your tweet too—thank you so much. I love that you’re talking epiphany here, as that’s the goal of all great fiction: to give the reader an epiphany that makes an permanent difference in their life. Very interesting way of looking at the composition. Refine the entire piece to a single sentence, or two and the truth is revealed. Sounds like Victoria has an amazing resource for us. Yes, I’m well known for having issues with my pitches and queries, and I’m hoping this method will help me focus on the right arc of the story–the one that’s the whole point. 🙂 Thanks for the comment! Wow, that is an incredible tip. I’m still trying to mull it over in my head. I need more examples. But I think I can just about see the brilliance on the horizon if I squint real hard. I know the feeling. 🙂 A couple of people have added more examples in the comments, but I’m still struggling with how to word the whole “cause” paragraph for my own work. Good luck and thanks for the comment! If you both want to put up your general stories in a few sentences, I’ll help you frame the premises. Think of it as a choice: what two overwhelming needs must your protagonist choose between? Once upon a time, a young man in great agony and exhaustion confronted his own intense hunger for ultimate power—that’s the premise. Cause of that? 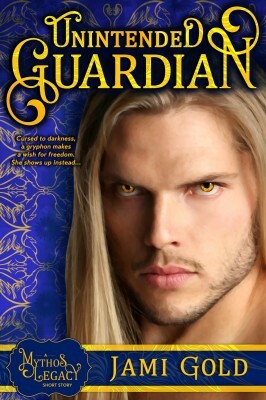 He has become the only person capable of guarding the key to ultimate power until it’s destroyed–that’s the story. Cause of that? The evil creator of this key dominated his world for hundreds of years until the lost key recently resurfaced–that’s the backstory. Thanks for another example. Take my own story? Ok.
Ugh, that doesn’t seem nearly as neat and tidy as your presentations, but then I’m writing epic fantasy. Do I get a pass? I don’t believe in grading. Fiction is a craft of infinite subtlety. This is fine! You’re right that the more streamlined it is, the easier it is to pinpoint the moment of Climax. But you can’t make it too streamlined. We wouldn’t say of Romeo & Juliet, “Once upon a time, two kids died.” You need the characters’ motivation in there to show why it happens. I only say he “helps” to be honest that he does not do it all by himself. There is a lot of “doing” by him. The story revolves around him, the general is an accessory to him FOR the story, even though he commands him IN the story. The general serves much as the Mentor character, a father figure and perhaps the moral backbone of the story. Thanks for the post and the insight. I’ll hope to hear you on Writing Excuses some day. For anyone interested in pushing the cause, go to: http://www.facebook.com/writingexcuses and tell them to have Victoria on the show. You’re totally on the right track here. You just need to say as succinctly as possible what he does that tips the scale and routs the enemy. This is what an agent or publisher want to know: why him? why this? why now? Conveniently, this is also what your reader wants to know! Yay! You didn’t know reading this blog meant homework assignments, did you? 😉 Thanks for the comment! Wonderful, Daniel. I’m so pleased to be a part of your work in this tremendous craft! Deconstruction is a fabulous way to learn. I’m reading this stuff and SO wanting to hear you do your deconstructions on the Writing Excuses podcast. Oh yeah, I jumped on the Writing Excuses facebook right away and left my endorsement. Thanks, Clifton! You’re heck of kind. Can you please say a few more things about premises? I may have a semantic crossed wire. Thank you so much, Victoria. Your books are on my Christmas list. Hopefully Victoria will chime in here with her definition of premise for the purposes of this exercise, but I think it’s related to the “what if” statement that drives your story (what if a character faced this situation?). For these paragraphs, she’s turned the what-if statement around so it’s not worded as a question. We’ll let Victoria tell me if I got close or not. 🙂 Thanks for the comment! Thanks for your response. I think something clicked! Carmen, your premise is the big event your story is about. If you ask yourself, “What’s the most important thing my protagonist goes through? What is the most dreadful choice they’re forced to make?” then you will know why you’re telling this story. And that’s your Climax. Oh yes, great explanation. 🙂 Thanks for coming back to clear that up! My heart is hurting you guys – that’s how I know this works! I just applied it to my WIP and had a visceral response. Genius. My mind is so blown right now. And this further explanation just makes it all so clear! Very cool! I hope understanding this helps your story cause those same strong reactions in your readers. 🙂 Thanks for the comment! WOW…that makes total sense. I never thought about it that way before, Victoria. Isn’t it great? 🙂 Thanks for the comment! 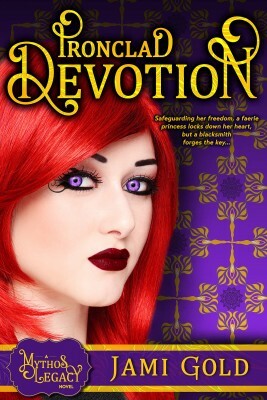 Now I’m re-thinking book 1 of my series (which is with a CP) as I write book 2. No, I’m not going to make changes just yet, but I’ll definitely be holding onto those notes so I can discuss them with my CP. You’re not alone with that feeling. 🙂 I’m trying to wrap my brain around whether what I thought was my climax was my actual climax. I have no idea yet–whee! LOL! Thanks for the comment! There’s actually a really straight-forward way to figure this out, Jami. 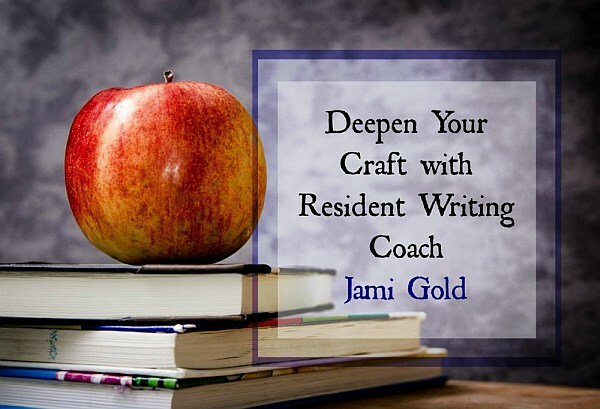 I didn’t bring it up here because everyone was having so much fun playing with this one technique, but it’s what we’ve been talking about this week over on my blog in 3 Vital Steps to Creating Your Protagonist. Thanks! I read that post several days ago, but I’ll have to look at it again from this perspective. 🙂 Thanks for sharing the link! Once upon a time, a young man comes to realise that his job is terrible because his bosses are evil, and is forced to take action – that’s the premise. Cause? The evil bosses have a nasty plot requiring our young man’s assistance – that’s the story. Cause of that? The evil bosses need something desperately for their ongoing existence – that’s the backstory. I’ll leave that to Victoria, but she’ll probably say that she doesn’t give grades. 🙂 Thanks for playing along and for the comment! Tell us what the young man does when he’s forced to take action. That’s the event that makes this story worth telling! Holy cow, that’s brilliant! I’m still wrapping my brain around this. I’ll have to compare my stories to this and see how they rate. Thanks Jami and Victoria! Yes, if you skimmed the comments, you know you’re not the only one trying to fully grasp the idea. 🙂 Good luck and thanks for the comment! Fabulous post. If you do this exercise with any really great story, you can see how climax is the INEVITABLE outcome of the preceding events. I think that’s important. Yes, exactly! I think Victoria mentions in her book that the climax is the surprising, yet inevitable, outcome of events. Thanks for the comment! Awesome! I’ve been stalled out revising a novel, not sure what needs to go and what should stay. I sat down and applied the theory above, even though I would never have come to that conclusion on my own, and am delighted to report that The Climax=The Premise is an excellent way to clarify the story. By determining the premise, the cause of the premise (story), and the cause of the story (backstory), I have a much clearer understanding about what I’m doing now. So glad I subsribed to this blog! Thank you. Yay! So glad to hear this worked for you. 🙂 Thanks for letting us know! Uck. I have such problems filling out forms like this where they ask you to identify the climax of your story, the premise, etc. I put all of those things in a story automatically, because I taught myself to write by reading books and they ALWAYS have a climax and a premise, but identifying them in a form makes me freeze and feel all sick to my stomach. Yes, I’m often the same way. My plotting is done by instinct. At first, I worried about that: Would the story have all the pieces it needed? But after the fact, I’m always able to find turning points and whatnot, mostly just because I know where to look (the storyfix.com structure information was helpful for that). Thanks for the comment!